Sports Massage, also known as remedial massage or deep tissue massage, is the methodical manipulation of muscle and other soft tissues, and is beneficial for both sports people and non-sports people alike. It is used to relieve pain, reduce muscle tension, enhance performance, improve range of movement, aid recovery from training and promote healing of soft tissues. We are now offering Sports Massage vouchers online. We will email you your voucher within 24 hours of receiving payment. As well as improving soft tissue function, regular massage provides the opportunity for the massage therapist to identify any soft tissue abnormalities which, if untreated, could lead to injury. So if your looking for a high quality deep tissue massage, look no further than Sports Massage Belfast. You can book a session by clicking on the appointment link or by calling us directly on 028 9047 2791. At Sports Massage Belfast we also offer a range of holistic treatments, provided by our Holistic Therapist Jennifer Greenlees (see bio below). Jenny has traveled the world, extensively studying the arts of massage, yoga and eastern medicine from London to Japan, India, Nepal, Tibet, China, Australia and USA. She now offers a wide variety of techniques, focusing on bodywork for optimum wellness, healing and relaxation, working holistically with her clients to achieve optimum results. Similarly, as a yoga teacher, Jenny has experience teaching a wide variety of styles including Hatha, Iyengar, Asthanga, Vinyasa and Kundalini. Classes are a blend of styles focusing on core work, strength and flexibility and are open to everyone, of all ages and abilities (Private sessions are also available). 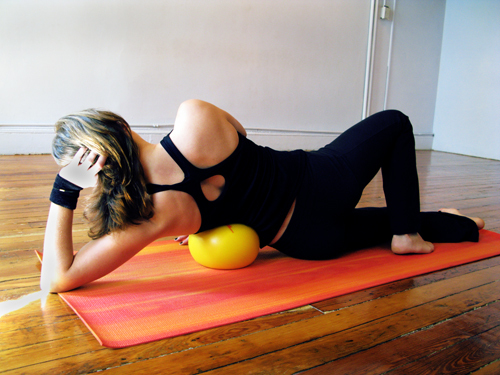 Jenny also teaches Body Rolling classes, which combines a great stretch, like yoga, with a great release like massage. It energizes and relaxes at the same time, releasing muscles as it tones them. It is performed by rolling over a ball, with specific routines following the natural direction of muscle release. Sports Massage Belfast was established in 2001 by Ross Harris and runs out of Northern Ireland Physiotherapy and Sports Injury Clinic.